Smith’s early work prioritized the act of viewing from a fixed perspective, and while experiencing his pieces in space—and in the round—is important, Royal Incubator’s legibility as a single plane, much like the Cubist paintings of Picasso, is tantamount. In addition to finding influence in Cubism, the dream-like imagery in such early works evidences the heavy influence Surrealism had on Smith. However, thanks to its location installed in Big Picture: Art after 1945, now on view in SAM’s Modern and Contemporary Galleries, Royal Incubator’s association with Abstract Expressionism is also made clear. In many ways, it can be seen as a three-dimensional equivalent to the active, monumental, and gestural paintings by Pollock, Krasner, and Gorky nearby. Born and raised in Indiana, Smith first worked as a welder and riveter at the Studebaker automobile plant in South Bend. Later, during World War II, Smith worked for the American Locomotive Company, working to fabricate trains and M7 destroyer tanks. These experiences proved formative, advancing his welding skills and relationship with metalwork. 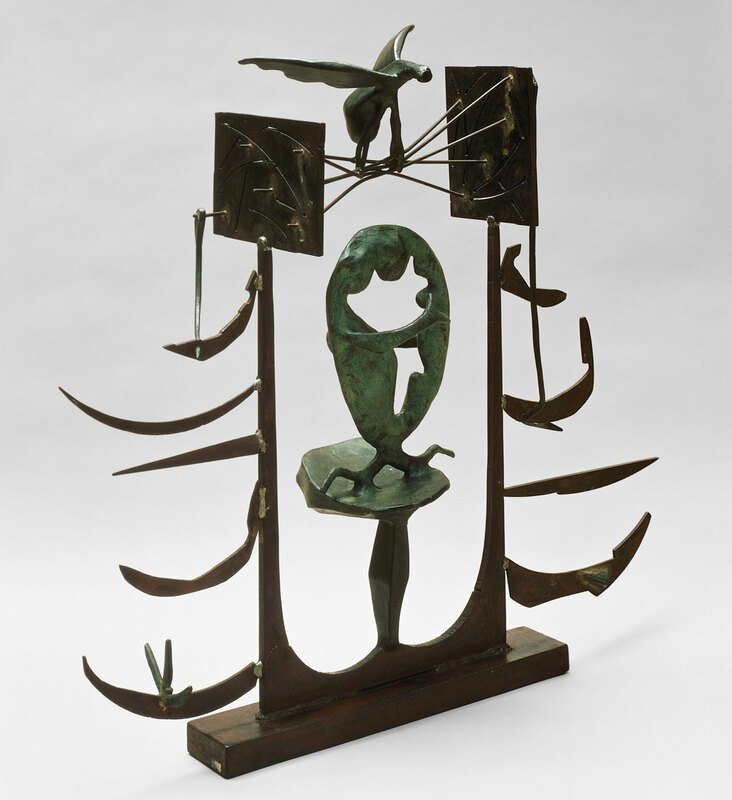 Smith’s early works bring together the real, often in the form of found metal scraps, with the imagined, resulting in a unique and at times deeply autobiographical visual style. For example, in Royal Incubator, metal spigots become birds of flight in a dream-like composition that defies clear interpretation. Delta Air Lines, the Official Airline of the Seattle Art Museum, is a generous sponsor of Big Picture. Their support makes it possible to share this incredible post-war collection with our community. Richard J. Williams, After Modern Sculpture: Art in the United States and Europe, 1965-70 (Manchester, England: Manchester University Press, 2000), 23.